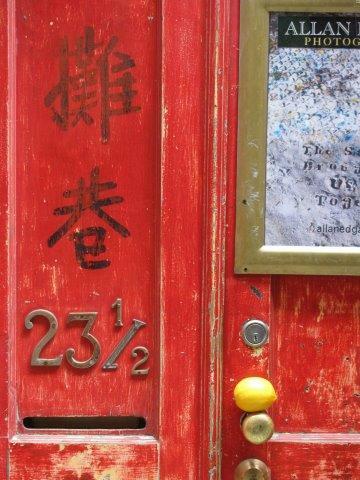 A doorway in Fan Tan Alley, Victoria, British Columbia - Canada's oldest Chinatown. I had never heard of the Lemons and Landmarks contest (I have only heard a couple of episodes of Cabin Pressure) but I googled and what a wonderful project. I like it! I saw my first door with 1/2 on it last weekend and here you have another one! How neat is that?